I'm very excited for today's interview because it's with the lovely and incredibly talented Betsy Snyder, who also happens to be one of my critique partners and a very good friend. I actually knew Betsy's books before I knew her. As a bookseller, I fell in love with HAIKU BABY, Betsy's debut book, the first time I saw it. The art is charming, bright, and fresh. Anyone who walked in to the bookstore looking for a baby gift walked out with a copy of HAIKU BABY. Skip ahead a few years later. I had just moved from Boston to Cleveland with my future husband and started making connections with other writers and illustrators in the area. And who did I meet? Betsy Snyder. Sometimes it's really amazing how small the world can be. We had lunch and I clicked with her instantly. Eventually Betsy and I, along with three other lovely and talented women, created a critique group together, which we've been doing for almost seven years now. 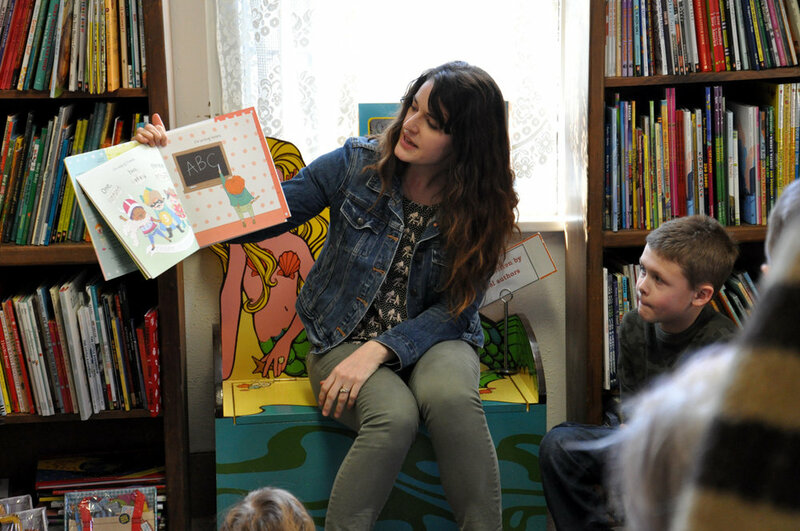 I have learned so much from Betsy, watching her come up with creative new ways for kids to interact with books, and I'm thrilled to share her work with you today! So without further ado, please welcome Betsy Snyder! How many years have you been in publishing? How many books have you published? Do you write and illustrate full-time? Yes (mostly). My life is a mix of mothering my books and my small children and that balance changes as it needs to. But I write/illustrate as full-time as I can. What inspires you to create picture books? I love the way kids learn and explore the world and I seek to make books that support that process and inspire a similar sense of wonder. I was lucky to have a childhood filled with good books and I can remember poring over the pages, studying the details of the pictures and getting lost in the magical worlds books create. What surprised you the most working as an author/illustrator? I didn’t anticipate that along with becoming published would come requests for author programs and needing to get comfortable with public speaking. Being in the spotlight can feel intimidating for somewhat introverted creative-types like me that are most cozy in their quiet studios—YIKES! But now, I can genuinely say I LOVE getting out and sharing what I do with schools, libraries, museums and the author/illustrator community. More experience, consulting with educators to hone my programs, and seeing those eager little (and big) faces in the audience have really helped grow my confidence and minimize the jitters. What is your favorite thing about being an author/illustrator? Every project is a new adventure! I like the feeling of immersing myself in whatever I’m working on—I learn a little (or a lot) more with each new book I make. It’s so rewarding to be able to help a vision evolve from start to finish and then to finally see a book in print and be able to share it with others. What do you find difficult working as an author/illustrator? What do you do to shake the rust off or get new ideas? I find inspiration in my kids, browsing at the library or a bookstore, creative chats (like with my critique group), nature walks, and travel. I especially look at what’s out there and what’s not—my best ideas are often born around opportunities. Anything you are habitual about when it comes to creativity? Making lists (and losing them—ha!). But seriously, I love making lists and when I broke the index finger of my writing hand earlier this year, I almost went crazy. I have actually found that for me, this brainstorm process is less about holding on to the ideas, and ironically, more about letting them go to clear up more creative space in my head. Can you share a positive experience you’ve had in the Kid Lit Community? Having work from Tons of Trucks (written by Sue Fliess) accepted into the Society of Illustrators Original Art Show and attending the opening in NYC was definitely a kid lit highlight for me. Mingling with that much talent and passion in one space was pretty dreamy. What is your favorite picture book? Do you really think I can pick just one? It’s still hard to beat my first-ever submission becoming a 3-book (and later 5-book) contract with Random House. I’ll never forget my agent’s email with the subject line “Get out the champagne!! !” I’m so grateful my editor Heidi Kilgras saw something in me and helped me get my start with writing my own books. What is something you wish someone had told you when you first started writing and illustrating? It’s supposed to feel hard—but that struggle doesn’t mean you aren’t good enough. Tell us about your newest book? I Can Dream and I Can Explore (May 2018) are the two newest books in the interactive series published by Chronicle Books. In terms of a theme, I Can Dream is centered around aspirational occupations, like a firefighter, astronaut, marine biologist, artist and more. I Can Explore is about being on-the-go—traveling by land, water, air and even snow. The entire series shares the same format solution, text direction, and empowering message celebrating both independence and teamwork. Touch-and-feel covers and interactive holes on every page invite the reader to animate the characters by wiggling their fingers. Every book ends with a surprise gatefold finish, bringing all the characters together for an inclusive grand finale. I had so much fun developing this format and rolling it out over four books (and I still have more ideas!). Working with my Chronicle team was a dream (special shout-out to Ariel Richardson, Tara Creehan and Amelia Mack)—our visions were on the same page from the beginning, so our partnership felt easy and effortless. What’s up next for you? I’m working on a picture book with Susanna Leonard Hill. And thinking up new book ideas! Anything else you’d like to share with aspiring authors and illustrators? There is no one secret path (and certainly no shortcut) to getting published. It’s a journey and experience unique to each person, because we each come from different places and bring along our own influences and talents. Networking with other authors and illustrators (via SCBWI, critique groups, workshops, etc.) is a great way to learn from the paths of others—and begin to forge your own. Plus, it can be a long road, so wouldn’t you rather have some travel buddies on your journey? And last, but not least, favorite 80s movie? Thank you so much for stopping by Critter Lit today Betsy! Author and illustrator Betsy Snyder has twenty years of experience creating for the children's market. Her smile-inspiring art can be found on everything from social expressions products, board games, plush, decor, fabric, wallpaper, and of course—children’s books! 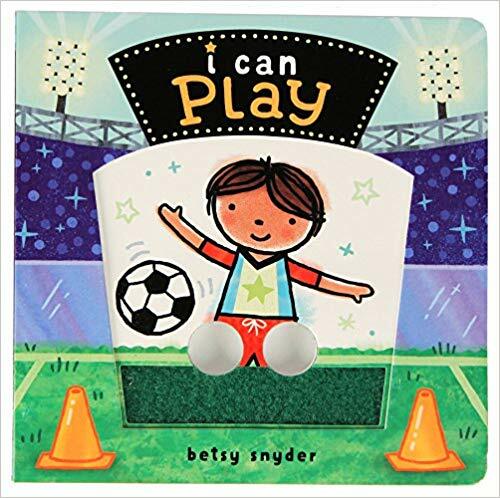 Since making her publishing debut in 2007, Betsy has teamed with a diverse mix of publishers, earning recognition from groups including the Society of Illustrators, The New York Times, Scholastic Parent & Child Magazine, Indie Next List, the Cooperative Children’s Book Center and Please Touch Museum. Her newest titles, I Can Dream and I Can Explore (May 2018), join the earlier I Can Dance and I Can Play in an innovative board book series with Chronicle Books. Betsy lives in Independence, Ohio, where she enjoys cozying up to doodle with her art-loving family of four and venturing out to schools and libraries to encourage kids (and even grown-ups) to share their stories and chase their dreams. For more information about Betsy and her books, visit her online at www.betsysnyder.com. Follow her on Twitter @betsysnyderart or on Facebook: www.facebook.com/betsysnyderart. TO PURCHASE A COPY of I CAN DREAM or I CAN EXPLORE visit your local bookstore, or click here. 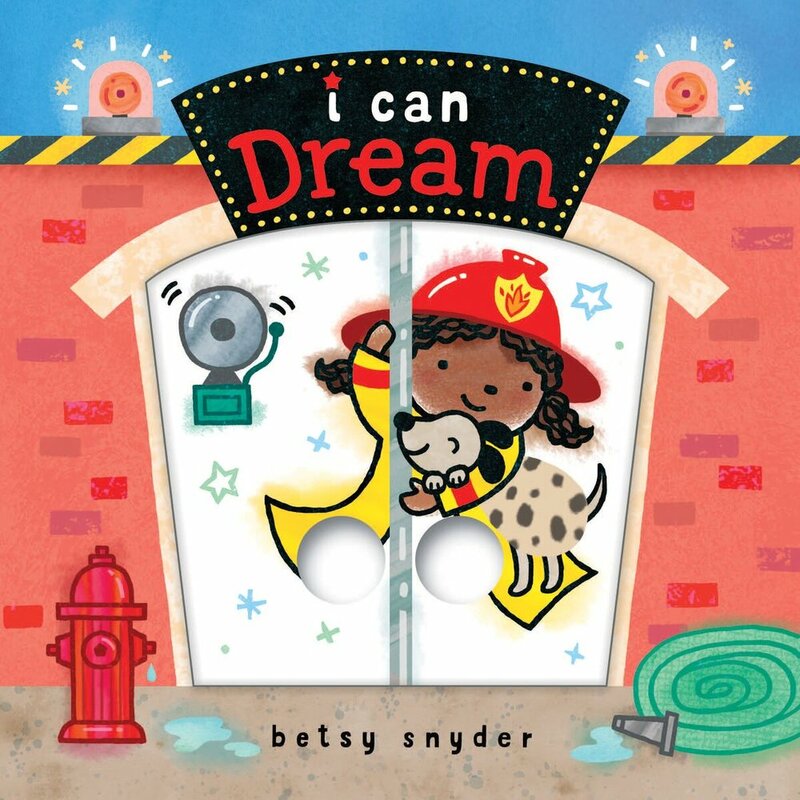 Want a chance to win a SIGNED copy of I CAN DREAM or I CAN EXPLORE by Betsy Snyder?! Comment on this post below or share it on Twitter. Two lucky winners will be announced Thursday, August 30th! US addresses only please. What's up on deck? Tune in next Thursday for an interview with picture book author Josh Funk!